Mission… We are a 501(c)3 nonprofit mountaineering school dedicated to providing risk management, technical, and leadership training to aspiring mountain guides, outdoor educators, and mountaineers. SIET also provides custom courses for colleges and for corporate leadership training. We provide unparalleled, cutting-edge training at an affordable tuition with a robust scholarship program. Instruction… SIET’s programs are staffed with highly experienced, professional instructors who have extensive backgrounds in experiential education, mountain guiding, and personal expeditions. See our Instructor Info page for more details on our exceptional staff. 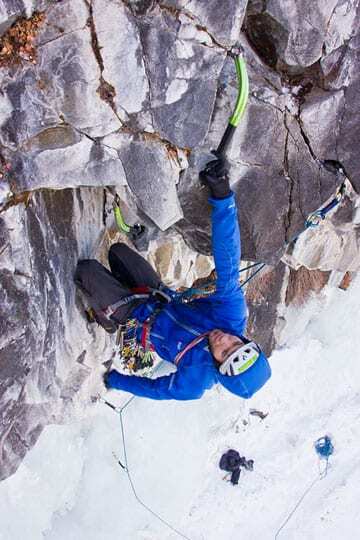 Program… Aspiring climbers who wish to become mountain guides, outdoor educators, or just safer mountaineers, face a myriad of challenges as they progress from a novice to an advanced level. Without instruction or mentorship, they experience a complicated and often dangerous learning curve. SIET helps its students through this phase by providing an educational experience that focuses on the skills students need to become more safe, confident, and competent leaders. Help keep our programs at an affordable tuition for students and contribute to our scholarship funds. . .please donate now! Our programs help students to. . .
Gain the experience and develop the judgment necessary for managing risk. Develop an understanding of industry best-practices, allowing students to progress from a rule-based system to an evidence-based system of decision making. Become employable with certificates of completion and a skill set that meets industry standards. Graduate with actionable next steps as well as continued mentorship to help alumni meet their personal and professional goals. Develop transferable skills to set alumni up for success on AMGA courses and exams.